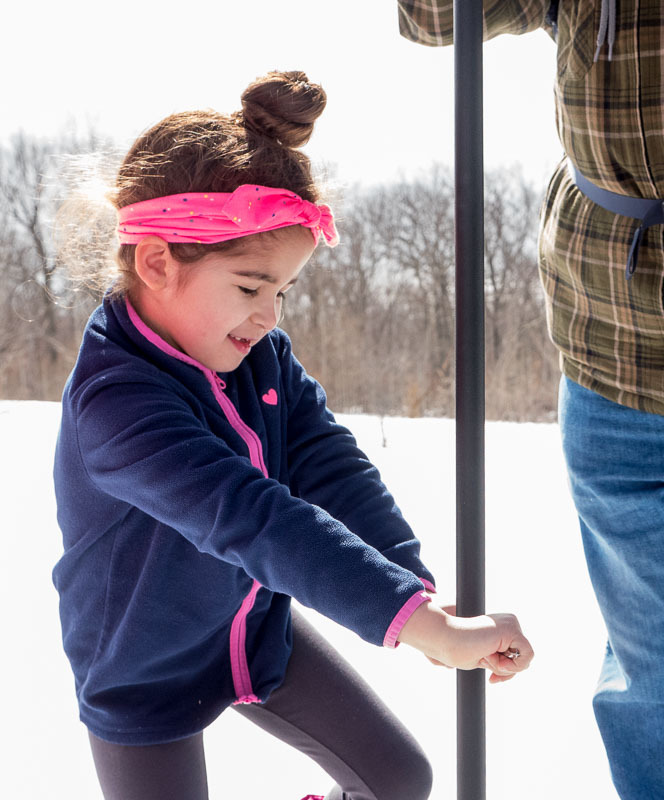 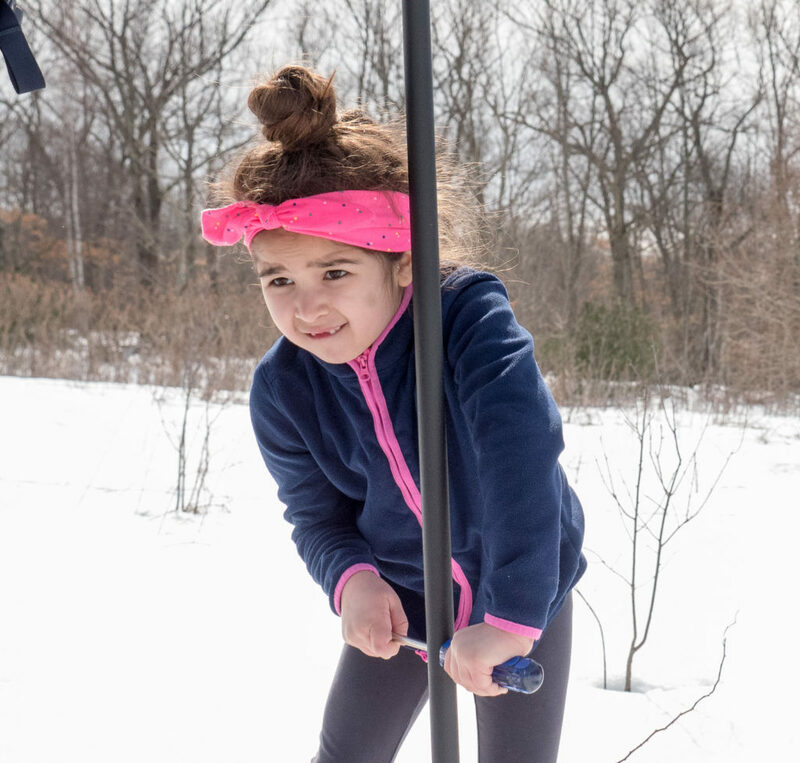 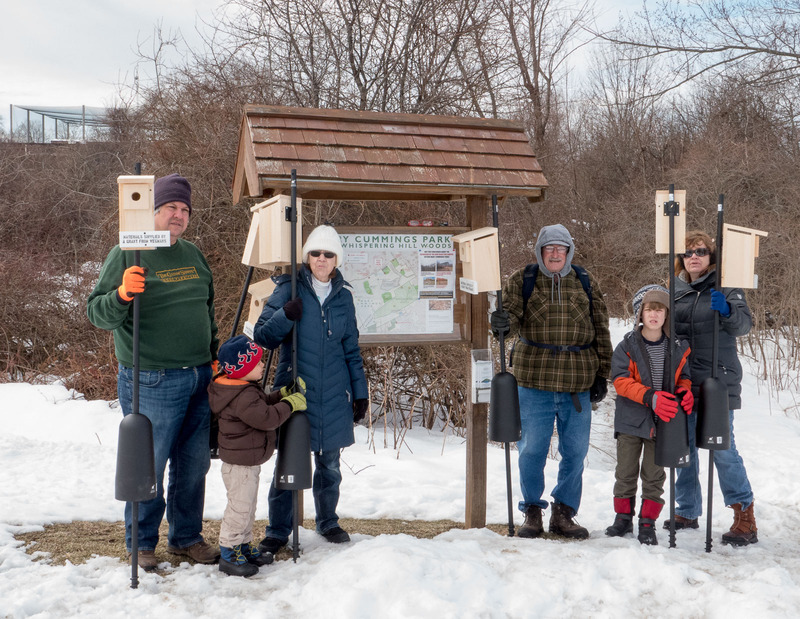 A team of all ages installed 8 bluebird houses in Central Field at Mary Cummings Park on Saturday, March 24th. 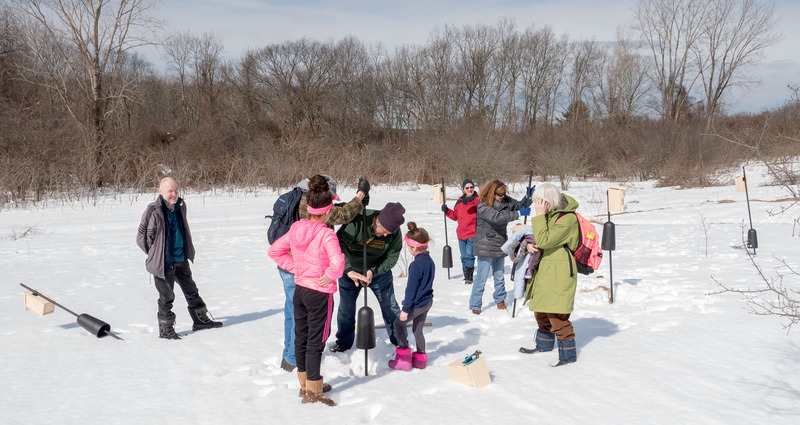 (We will need to monitor the progress of the houses and may have to evict invasive birds who nest in place of native birds.) 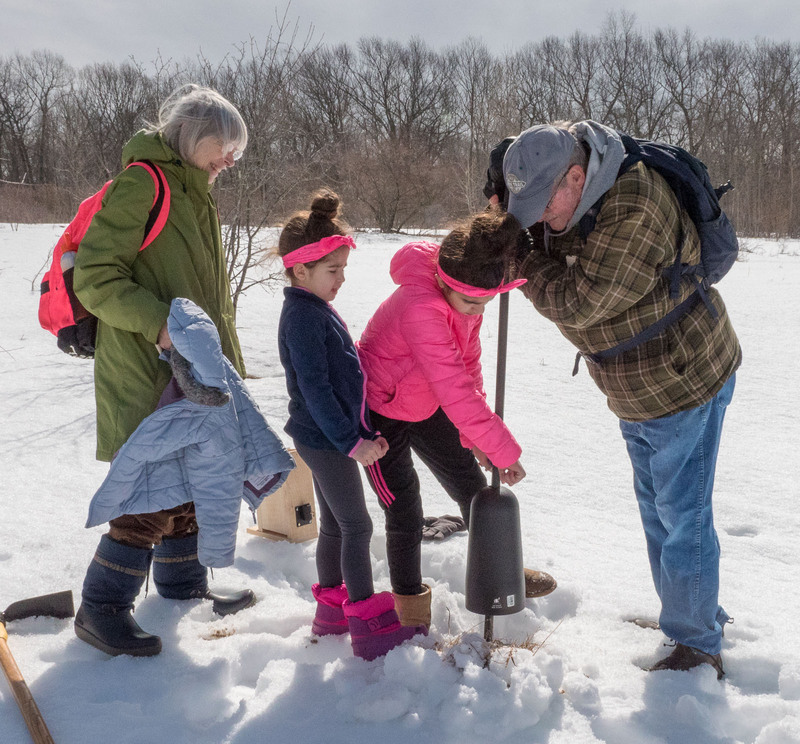 Bluebird experts from the area will teach us how to watch over the houses. 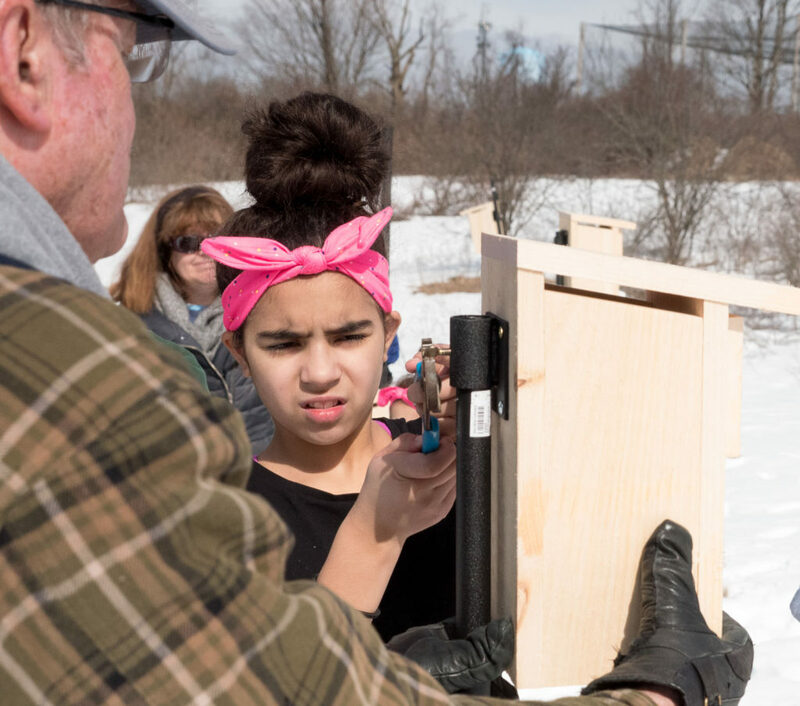 They also need cleaning after each set of chicks leave the nest, and we may remove them for the winter to reserve them for bluebirds and other warm-weather visitors. 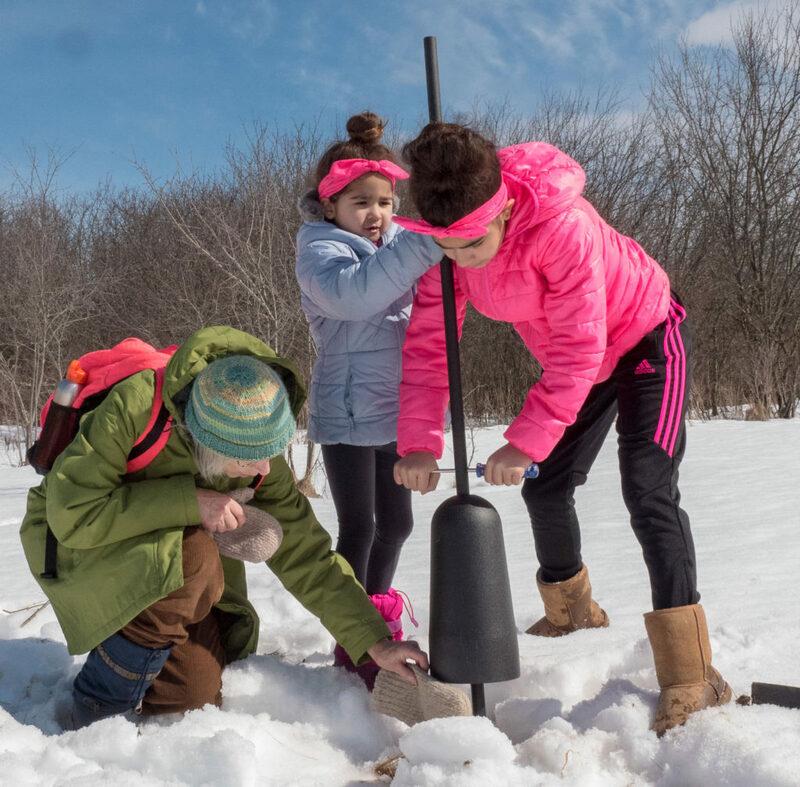 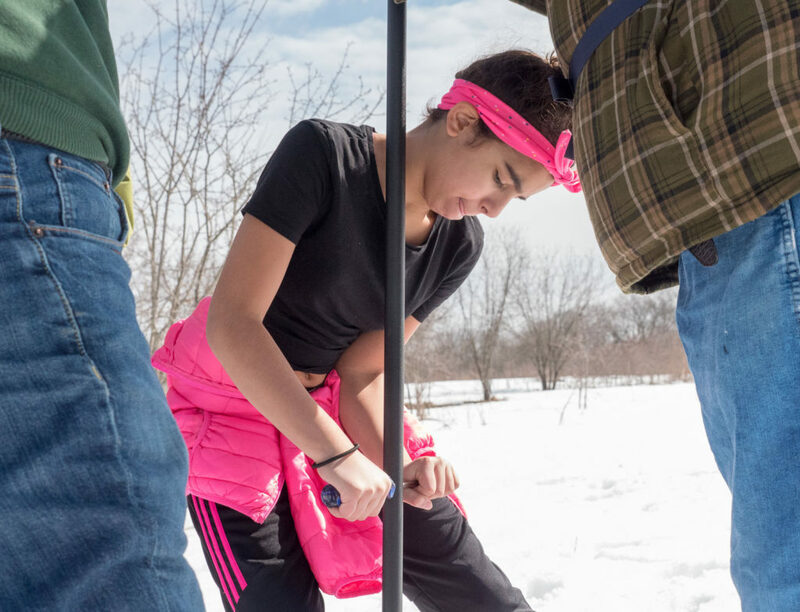 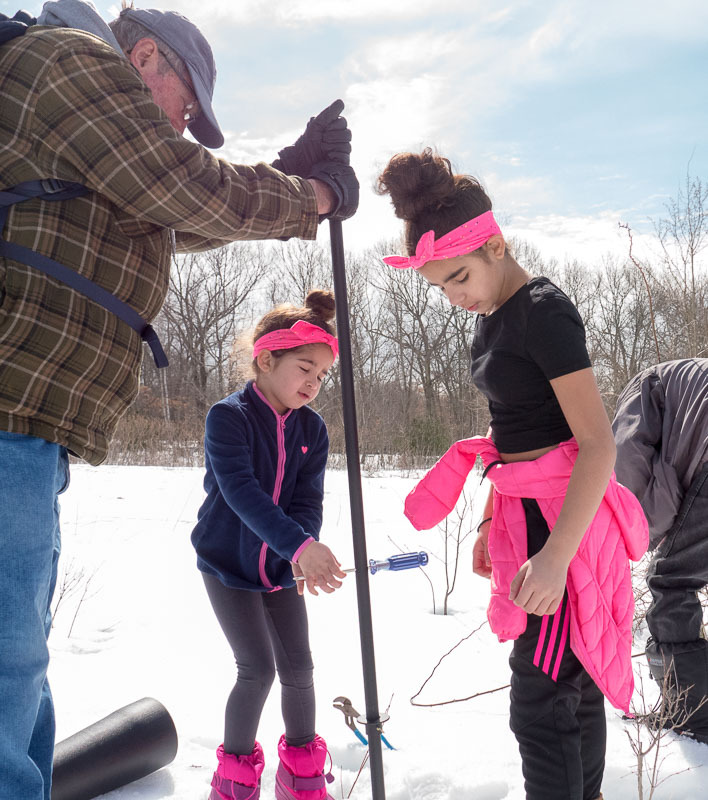 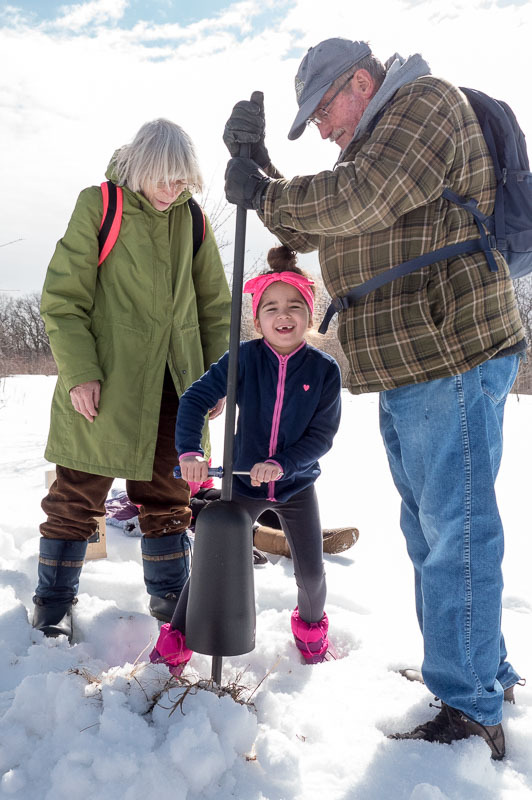 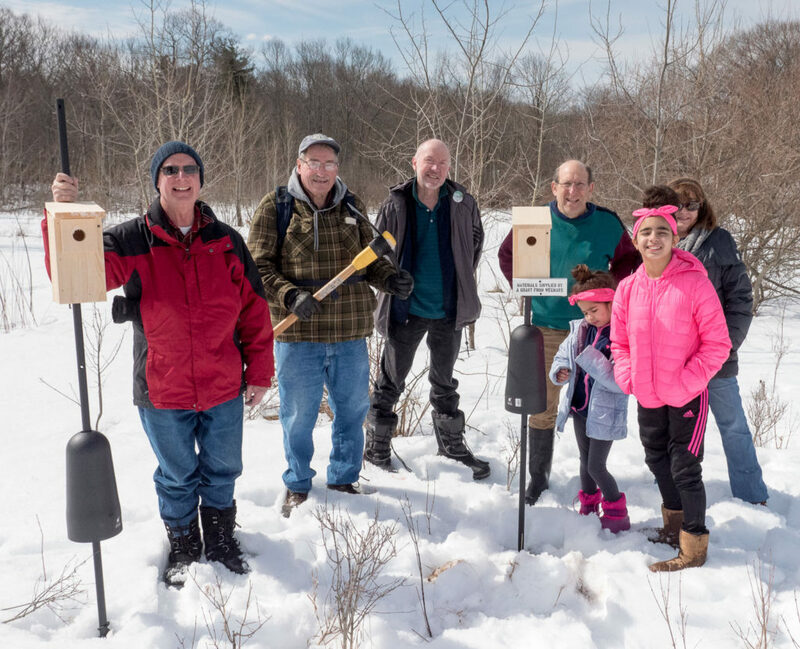 This project was initiated from an idea given to us by our friends at the Wild Birds Unlimited in Woburn and partially funded by a grant from Wegman’s of Burlington.